Hogarth’s Pest Control specializes in Boxelder Bug removal. 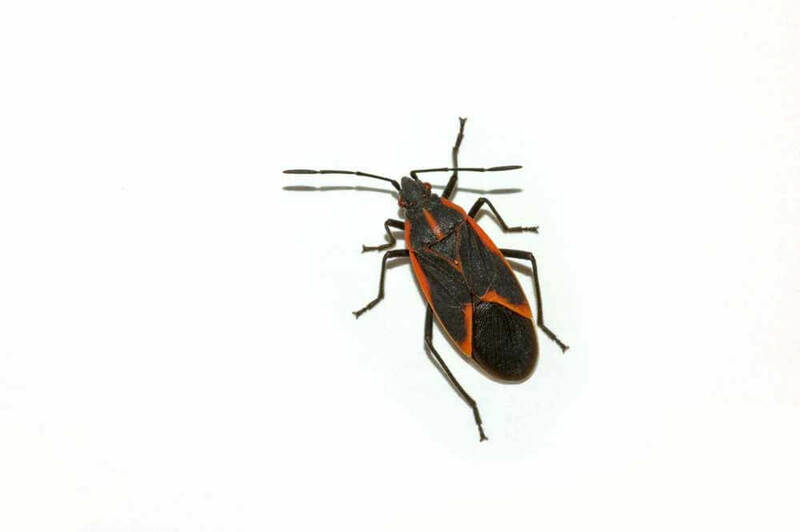 Boxelder bugs are fall invaders that are black with orange markings. They’re a nuisance pest that does not have many predators. These bugs will enter the home during the fall months to over-winter until spring. There is is not much we can do in the spring because they’ve already over-wintered since the previous fall. Once they’re in the home, the best thing to do is vacuum them up. Eliminating Boxelder bugs comes down to proactive prevention. Spring or late summer is the best time to receive a barrier treatment on your home to stop them from being able to enter in the fall. Hogarth’s Pest Control and Wildlife guarantees this service until the snow flies. Exclusion can be done on the home around doors, windows, foundations, ridge vents, or gable end vents and will drastically reduce the population. Identification and proper treatment by a pest control professional is key to eliminating Boxelder bugs in and around your home.